Hey y'all, hope you have been having a nice weekend. So last night when I sat down to do nails I decided to go St Patrick's Day themed but honestly I'm just not feeling it. Like Snoopy yesterday was super fun but really no other ideas are really speaking to me. So that all being said I think for the rest of this week I will stop and go to spring nails. How does that sound? 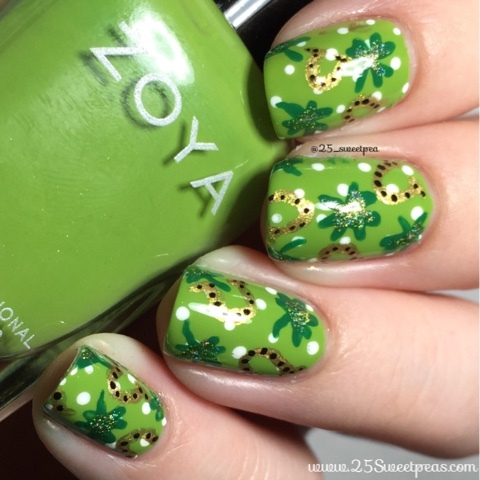 However before I do that I do have some St Patrick's Day nails for you this morning. First off I started with on coat of Zoya Tilda for my green background. Then next up I used a dotter and white acrylic paint and did dots for the background of the main art. 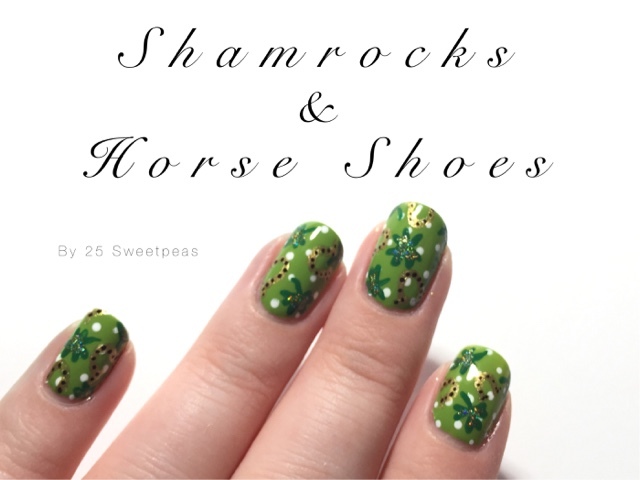 Then I took a Twinkled T brush and a dark green acrylic paint and painted on the shamrocks. After that I painted on the horse shoes with gold acrylic paint. 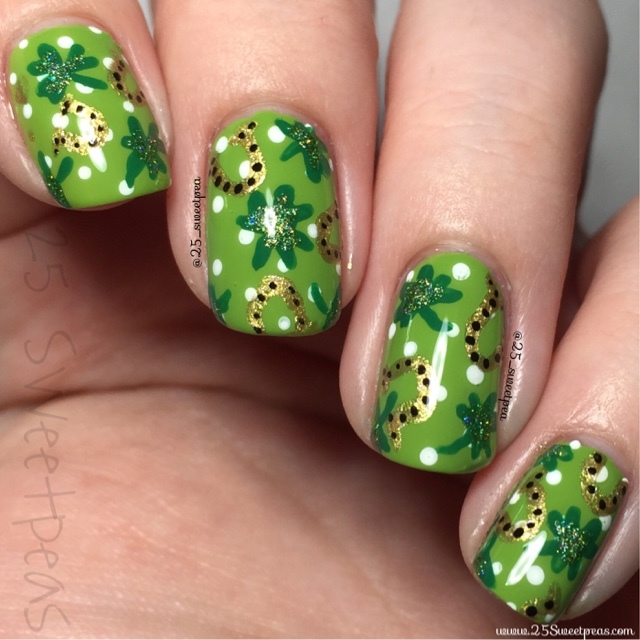 Then the shamrocks looked like they needed something so I added ILNP 1UP into the middles of them. That's pretty much it then. I waited for it all to dry and used Seche Vite Top Coat.